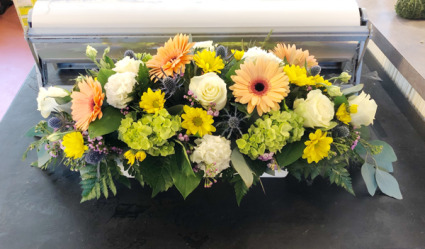 A large arrangement of spring blooms in a low and full style. The container is a wooden box. 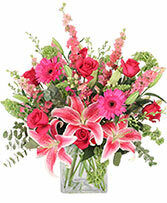 Individual flowers will differ as to what is the freshest. 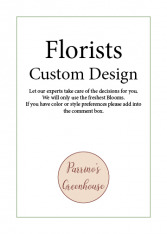 Please let us know if you want a specific colors or blooms. 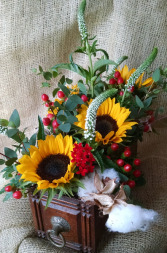 let us create a special arrangement in one our unique vintage containers. containers vary in style and flowers can be in any color scheme.